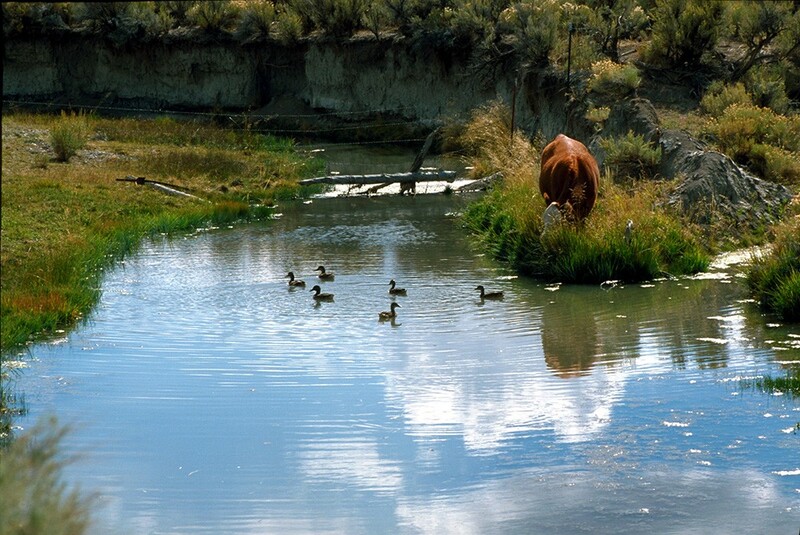 A cow grazes in the Coal Mine Canyon area of Nevada. When a racist rancher in Nevada and his armed supporters can command headlines by claiming to own and control publicly owned lands, perhaps it's time to remind Westerners about the history of the nation's public-land heritage. Recall that it is we, the American people, who own the public lands that make up so much of our Western states. These great open spaces are the birthright of all of us, not just the residents of Nevada or Arizona or other Western states. The question of ownership of the public lands was settled by the founding fathers, in favor of you and me, by the Maryland compromise reached in 1781, and carried forward in the property clause of Article IV of the United States Constitution. On occasion, die-hard malcontents such as Cliven Bundy emerge to promote so-called "Sagebrush Rebellions" to turn the public lands over to the states as a conduit for handing them out to resource raiders and private interests. Governors and state legislatures are sometimes drawn into endorsing these movements, only to see them fade away in the face of public opinion. Now, while this latest fracas is fresh in our minds, let me speak up for the employees of the Bureau of Land Management who have been demonized by Fox newsman Sean Hannity and threatened by rancher Cliven Bundy and his followers. BLM staffers are dedicated public servants who struggle with the unenviable task of juggling the conflicting demands of ranchers, miners, oil and gas companies, sportsmen and conservationists. They deserve our respect and our gratitude. I believe that the whole sorry Bundy episode has given us an opportunity to renew our commitment to conservation. We can do that by calling on President Obama to take action to protect more of the special places on our public lands. He can begin by using the Antiquities Act to establish more national monuments. Some may counsel caution in light of the recent House passage of a bill by Utah Republican Rep. Rob Bishop to gut the law. However, the best way to protect and preserve the Antiquities Act is to use it visibly and vigorously, thereby demonstrating once again the broad public support it has enjoyed for more than 100 years. President Obama could also review the list of our existing national parks and monuments, many of which are in need of expansion because these areas are threatened by encroaching strip mining, drilling or other incompatible development. He could start out in the majestic expanses of southern Utah, where Canyonlands, Arches and Capitol Reef national parks all need additional lands to protect their archaeological sites and unique geological formations. And at Yellowstone National Park, the migratory herds of bison, elk and other wildlife all need more space, which can be best obtained by designating the forest lands to the west as a national monument. There are many other areas where local residents are voicing support for new national monuments, including the Boulder-White Cloud Mountains in Idaho, the Vermillion Basin in Colorado and the Owyhee Canyons in Oregon. The president also has the authority to add lands to our National Wildlife Refuge System. There is an urgent need to create a system of refuges to protect the endangered greater sage grouse, which inhabits the sagebrush seas that stretch across public lands in seven Western states. In addition, the Antiquities Act could be used to protect fisheries and endangered coral systems in our marine waters. Bristol Bay off western Alaska is the most prolific of our fisheries, the passage through which millions of salmon migrate to spawn throughout the river systems of Alaska. The little-known deep-water corals adjoining the Pribilof Islands in the Bering Sea also deserve enhanced protection. There is much to be done, and President Obama should not wait until the eleventh hour to act. He should start now by advancing proposals, explaining the urgency of conservation, generating the visibility of the issues at stake and asking all Americans to voice their opinions. He should invite Congress to take legislative action, making it clear that he will act if it doesn't. 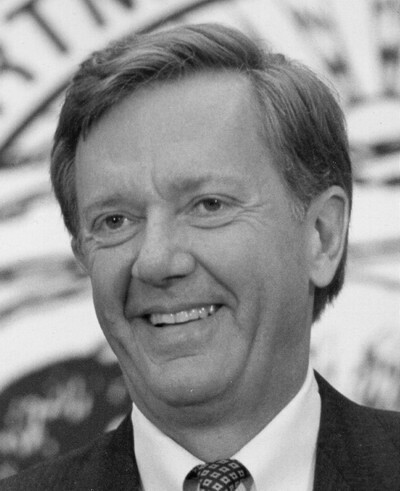 Bruce Babbitt is the former Interior Department secretary. A version of this guest column first appeared in High Country News (www.hcn.org).